As part of a comprehensive ballet education, we do have recommendations on how many classes each student should attend per level. These are not requirements, as we aim to serve and include all students and families, but they are guidelines to help enhance learning and ability. This includes ballet and speciality/acrobatic classes. This 30 minute class is designed to introduce the ideas and movement specific to ballet. Students grow the strength and joy of dance in a creative atmosphere, which lays the groundwork for later levels. Pre-ballet follows the ABT® National Training Curriculum Pre-Primary level, introduced by ABT® Certified Teacher Kaytee Horton. This 45 minute class continues the ideas of Pre-Ballet with advancement skill and musicality. At the end of this level students will have gained all the basic techniques needed to progress into our Beginning Ballet Program. Basic Ballet follows the ABT® National Training Curriculum Primary level, introduced by ABT® Certified Teacher Kaytee Horton. Abernethy Performing Arts in proud to include the AMERICAN BALLET THEATRE® National Training Curriculum, a breakthrough 9 level program that combines high quality artistic training with the basics of dancer health and child development. The ABT® NTC consists of a comprehensive set of age-appropriate, outcome-based guidelines to provide the highest quality ballet training to dance students of all ages and skill levels. Taught by ABT® Certified Teacher Kaytee Horton, who has successfully completed the ABT® Teacher Training Intensive in Pre-Primary through Level 3 of the ABT® NTC. Intermediate Ballet classes are 1.5 hours long and broaden the students technique and dance education. Pointe begins around level 4 and is taught on a regular basis; advancement in technique and artistry are developed and varied ballet styles and traditions are introduced. Keith Walls instructs and is trained in the Russian and American styles, and has independently studied the French and Danish styles. These two levels in our curriculum indicate advanced ballet technique and artistry; placement at these levels are strict. Pointe work is required for centre. At level 7, students increase pointe work and learn much of the RAD style from instructor Melissa Grant. At level 8, a new set of technique is introduced by Cynthia Tosh, a Balanchine trained dancer, teacher, and former Artistic Director. 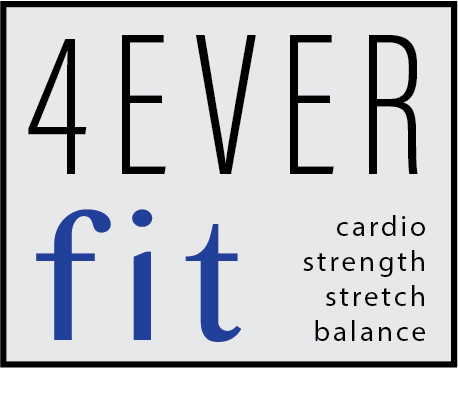 This class is focused on lengthening and strengthening muscle to aide in dance and fitness, with a warm-up, light resistance or isometric training, and dance focused stretching. Recommended for all dancers at least once per week. This is a 60 minute beginning jazz dance class, introducing students to the style and movement of jazz which is now found in other styles such as hip-hop and contemporary dance. Today's contemporary dance borrows from ballet, jazz, and modern dance styles to create a unique pedestrian style of technique. This 60 minute class is for intermediate dancers. These 60 minute classes are great for beginning students. Anyone who loves music and enjoys making a little noise will like these classes.